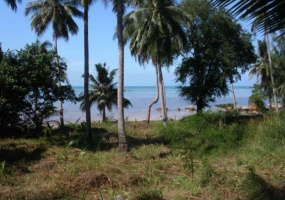 Prime beach front land in Koh Phangan located in Nai Wok giveng direct view on Koh Samui and the local island Koh Tae Nai.. This land is cleared and ready for any construction of Villas of hotel. This land is a natural hillside sloping directly to and unspoiled beach . In close reach of Thong sala and all ameneties. SOLD Full infrastructure in place for this perfect sized beach plot. 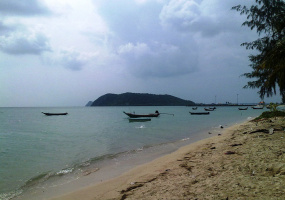 Located on the west coat of Koh Phangan directly facing Koh Samui,. Electricity and water connection at 100 meters away on governemental main concrete road. 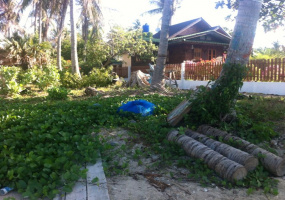 Perfect piece of Koh Phangan real estate to built a private beach villa. Located on the west cost , walking distance from Thong Sala the main city offering all amenitoes as shops, super market and hospitals. 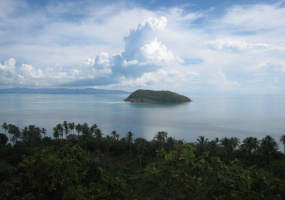 Great view of Koh Samui , all infrastructure in place for this land for sale in Koh Phangan . Located on the West Cost given direct view on Koh Samui. 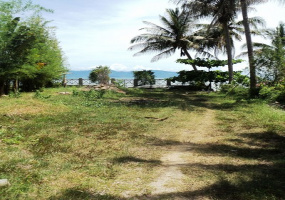 This Beach front land for sale as at all , 18 metres frontage and full infrastructure, all with this plot are approved a building permit for a 2 storey villa designed by architect . Ideal for a luxury villa . Located in the North cost on Chaloklum beach , great view thought the bay . This piece of real estate is located just out of the fisherman village of Chaloklum . The location is very charming and a true gem is in the middle of the bay , Malibu beach , very relaxing place . 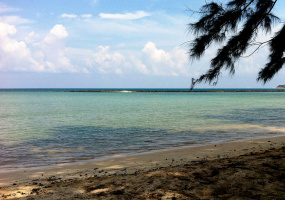 looking for a true value Koh Phangan real estate plot ?? 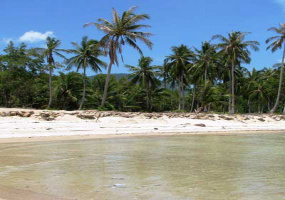 Amazing beach front land located on the West cost of the Island, directly facing Koh Samui and it s nice shoreline The frontage of this land is approximately 100 meters, in itself the land is flat with no slope at all. 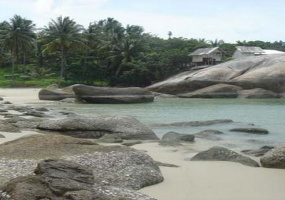 It’s located in a natural creek with coconut trees all around. 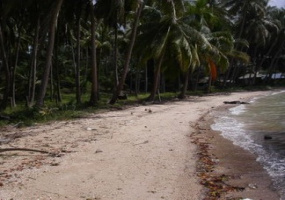 This 26 Rai of Beachfront land now is now available at a reduced price Located at Haad Tong Reng is a charming white sandy beach and is enclosed and safe for swimming. 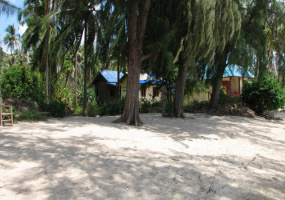 on a quiet beach with amazing scenery on the south east coast of Koh Phangan, this is a true pieces of Koh Phangan real estate for the investor looking at discounted land. The beach front is a rocky coastal of 91 metres. Description Very rare small piece of beachfront plot of land located on the west coast of Koh Phangan in a beautiful,and yet quiet location. Very easy access just off the government road you will enjoy the sunset views over Koh Samui. Located on the West cost facing Koh Samui, great frontage and stunning views . Easy accss to both Thong Sala and Haad rin. Located in the North coast . This land as a 70 meters of rocky beach front. Easy slope going down to the beach . Very close to the charming village of Chaloklum. 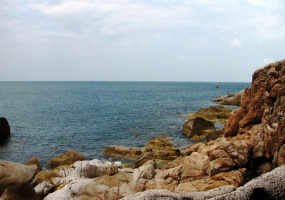 This land is Sold Located on the West cost this beach land for sale in Koh Phangan Thailand is idealy sized for a single detatched private beach front villa. Offering great views on Koh Samui and also a short 5 min drive to the main city of Thong Sala providing all ameneties.